the 40th Anniversary of Secession! Jeffrey's efforts in the areas of research and learning have in a a relatively short time with the Principality, already assisted in bringing about great advancements for the Royal College of Heraldry and in the information published by most important institution & learned College. Jeffrey Poole is a noted consultant on genealogy and heraldry, who contributes to various international forums and is a member of numerous Heraldic Associations and Societies. He consults museums and private clients on determining provenance of objects bearing heraldic markings. Jeffrey is compiling an extensive Armorial of Families of South. Australia--a major undertaking. Mr. Paul Augustin Burkart AB. Bestowed with the Rank of Companion of the Order of Wisdom and Learning for: Efforts and support of both the Earl Marshal and therefore also the Sovereign in supporting the Earl Marshal and the PHR Royal College of Heraldry in providing skills to keep the College website and the site of Sir David Burkart himself, up to date and serviced as well as his assistance to the EM in all matters concerning the I.T. field and the operation of graphics software in the design and creation of graphics when called upon. Paul assisted in bringing about great advancements for the Royal College of Heraldry. Bestowed with the Rank of Companion of the Order of Wisdom and Learning for: Efforts supplied in the education of Indigenous Australians in the areas of Aquaculture, farming and the operation of a wide range of farming equipment and techniques as well as for his efforts and support of both the Sovereign and this Principality. Mr. Frank Mauger COWL., JP. Bestowed with the Rank of Dame of the Order of Wisdom and Learning for: Outstanding service given to the Scouting Movement for in excess of 25 years, particularly in the area of training support and organisational and supervisory roles to help a betterment of mankind in the educated development of youth. In addition to this outstanding service, Barbara has always been extremely active in many areas of her local community in providing her experience, skills and support in to many organisations and many areas, as well as serving as a valuable member of the Legion Of Frontiersmen, Independent Command, CANADA of which HRH Prince Leonard is Hon Commissioner in Chief. Bestowed with the Rank of Dame of the Order of Wisdom and Learning for: Outstanding service given to the Nursing Profession for more than 40 years, particularly in the areas of Intensive and Coronary Care. The nomination for an award for Mrs Meredith was accompanied by glowing recommendations from others, including a patient and her work and care for others as well as her professionalism could not be praised more highly. Chief Herald of the PHR Royal College of Heraldry. has served as a member and officer of several organizations in the field. He has helped guide scores of people seeking assistance with origins and meanings of armorial bearings, both as a consultant on commissioned work and on a pro bono basis. Geoff is a teacher and mentor in addition to his bailiwick of blazoning. He has encyclopaedic knowledge that he brings to bear on each project. --assist EM on regular basis with inquiries to RCH and other work. Services to the Northampton local area, particularly the Northampton Tourist Association in which Joy is a member of the management committee and the Northampton Business On The Move Group, of which they were founders and continue in a management role. Services to the Sovereign and the Principality of Hutt River. Services to the Northampton local area, particularly the Northampton Tourist Association in which Geoff is a member of the management committee and the Northampton Business On The Move Group, of which they were founders and continue in a management role. Services to the Sovereign and the Principality of Hutt River as well and his professional and outstanding honesty in business practises. Services to the Sovereign and the Principality of Hutt River in his position with the Hutt River Dedication Cricket Team. Chris has been a major contributor to the Principality national cricket team, both on and off the field. He is the team's leading wicket taker with 28 wickets in 10 games representing the Principality. In 2009, Chris won the Sovereign’s MDP award, awarded to the best performing player in the team, after coming runner-up in this award in 2008. In addition, he was named bowler of the tournament at the 2009 Willowfest Australian Cricket Club Championships, and was selected in the 'Lencia XI' – the all star team from the tournament. Chris holds the record for best bowling figures for Hutt River Dedication, with 5/22. In addition to his on-field performances, Chris has also been a major off-field contributor, assisting with procurement of match equipment, providing commentary at games, and organising locations for training. Barrie Burr is known internationally for his skilful renditions (emblazons) of armorial bearings using digital technology. He has developed this art to a high level while continually expanding his knowledge of heraldry. He is an active contributor to various international forums and a member of international heraldic bodies. Services to her local community and the State of South Australia in general in many roles. "Ev has a unique quality that allows her to calmly and confidently address the most heart wrenching situation while even having to deal the impact the situation may have on her personally. Ev is not one to step away from an event or calamity and will meet it head on putting the considerations of those affected before her own personal priorities. Her commitment at these times is unique and far exceeds those of the normal public servant. Living and working in a state such as South Australia means that in times of drought or hardship people such as Ev may work with the same family or community over the course of many years and Ev is accepted and respected in a number of these communities. Ev has demonstrated a significant contribution to her local community both as part of her professional life but also more importantly as a volunteer. She has engaged herself with community groups formally through representation on regional Boards and committees and also on a more personal level through her contribution to the community in times of need. These times are particularly illustrated in times of personal trauma such as bushfire, drought and critical water needs. Ev’s voluntary contribution goes above and beyond the requirements of an ordinary Board or committee member, she takes her work, contribution and commitment seriously and has high principals which she upholds. She is diligent in her commitment to meetings and Board or community activities and provides and demands a high level of accountability". Services to the Sovereign and the Principality of Hutt River in his position as Chief Commissioner of the Legion of Frontiersmen, Independent Command CANADA and his exemplary service to the people in his local community in both word and action. Loyal and outstanding Service to the Sovereign and the Principality of Hutt River in general. as well and his professional and outstanding honesty in business practises. View Investiture October 2011 here! in his position as Captain of the Hutt River Dedication Cricket Club. positions helping in the economic development of the State of Western Australia and the betterment of life for it's people. Hon. Sir Murray Criddle KCSOL. K.C.R.O. Sir Keith Kerwin KRO. Services to the Sovereign and the Principality of Hutt River for composing the Anthem of this Nation, both words and Music. This award is given to show appreciation of the effort and interest put in to composing our National Anthem which is so proudly played around the world and which will play a great and central part in the 40th Anniversary Celebrations which take place in a few days time. VISIT - History of the National Anthem of Hutt! 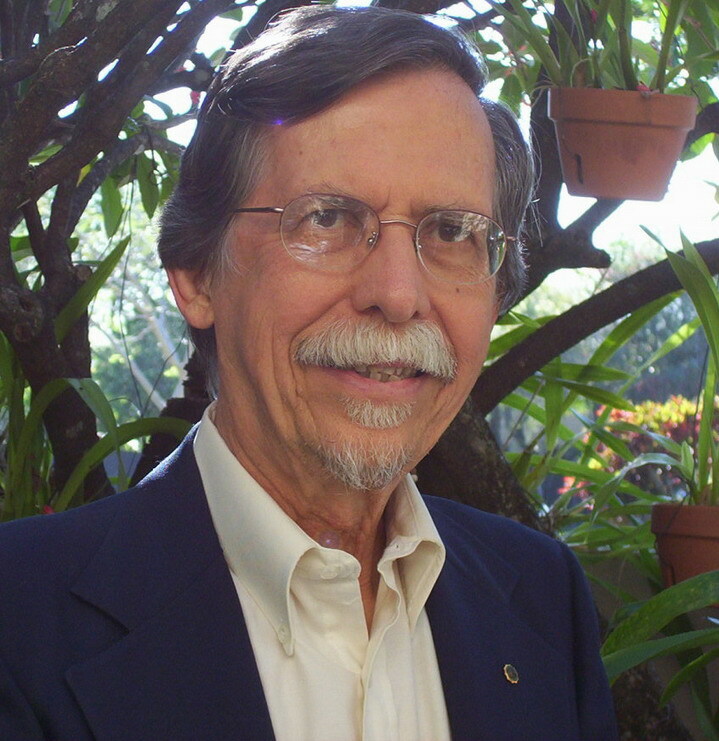 Dr. Sir David P. Burkart KGCRO. Elevated to the Rank of Knight Grand Star of the Royal Order the highest Rank attainable in the Royal Order, the most prestigious Order of the Principality, for his ongoing and unfailing loyal and steadfast services in both offices of which he holds, Earl Marshal of the PHR Royal College of Heraldry & High Representative to the U.S.A. In recognition of years of continuing active support of the Principality, it's Sovereign and the history and heraldry of the land and it's people.